The Writers’ Round Table is Here! Join the Joust November 15-17 for workshop performances of Gina Stevensen’s The Colony and Jacob Marx Rice’s Rosenstrasse: A Narrative Protest. Tickets are on sale now (see button below). Press Release HERE. 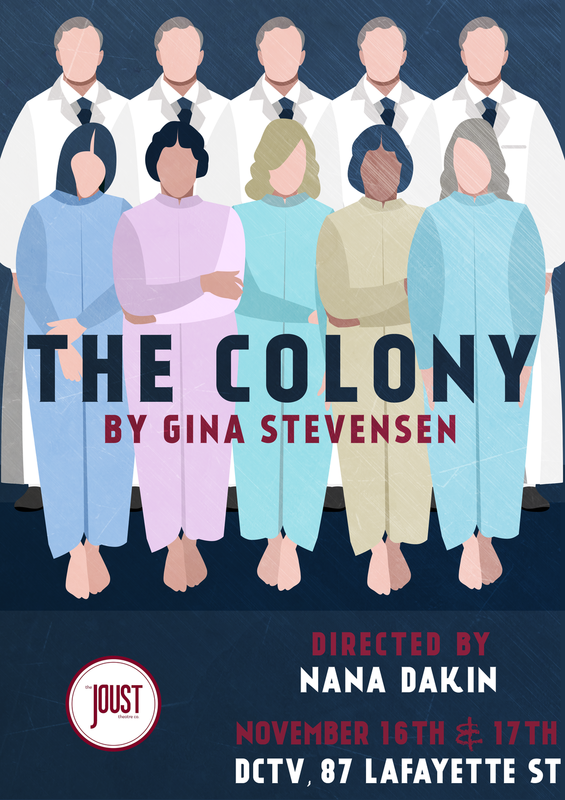 THE COLONY cast will feature Gabrielle Young as Carrie, Dara O'Brien* as Emma, Alinca Hamilton* as Nurse/Vivian and Quinn Rol* as Doctor. ROSENSTRASSE: A NARRATIVE PROTEST cast will feature Rebecca-Anne Whittaker as Doris, Piera Calabro as Marta, Sydney Berk as Ilse, Ian Bell as Guard 1, Ian Whitt as Guard 2, and Lorenzo Landini* as Kurt. 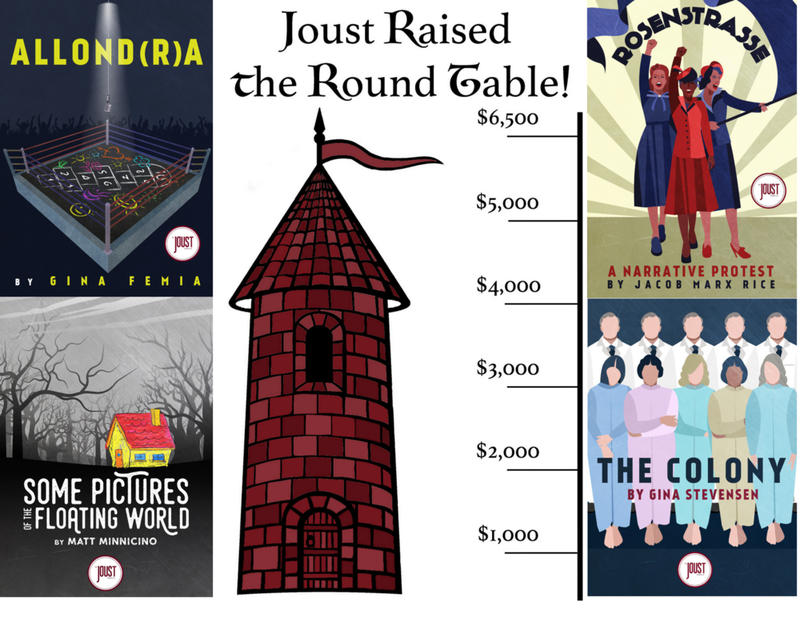 The Joust is now accepting applications for our 2019 Writers' Round Table, a developmental playwriting group. 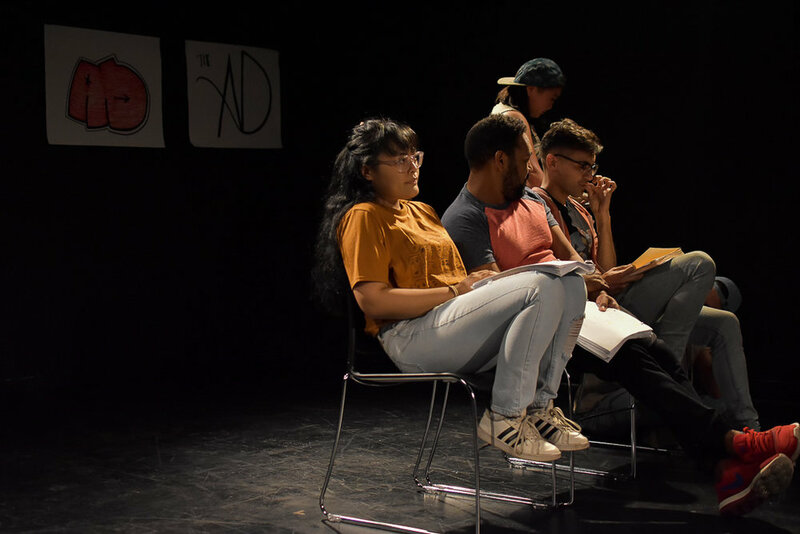 We are seeking playwrights to submit proposals for in-process, unproduced plays that re-imagine and/or subvert systemic norms (political, societal, religious, etc.). The Writers' Round Table will meet 2 times per month over a 9 month period to develop their plays with constructive feedback from other playwrights, a developmental workshop with actors, and dramaturgy from the artistic staff of The Joust, culminating in a reading festival produced by the Joust Theatre Company. Playwrights will receive a modest stipend for participating in the Round Table. - A one-page artistic statement. Tell us what you're interested in exploring through your next play, what the Writers' Round Table can help you with, and how this project fits with our mission statement. - If this is a project you have already begun work on, send us a few pages to give us a sense of the piece. If not, please provide a detailed summary of the project. - A completed play that you feel best showcases your voice. Please note that the Round Table will function at its best if everyone involved is present in person for every meeting, so if you have any conflicts spanning more than three consecutive weeks in the 2019 calendar year, please note that in your application. It's official, Joust has reached our fundraising goal of $6,500! Huge thanks are owed to everyone who donated, shared, and raised awareness of our campaign. We could not have done it without your help. Stay tuned for updates on our September gala, November shows, and all things Joust! Thank you to all who joined us for ALLOND(R)A & Some Pictures of the Floating World! Click the image above to see more pictures from the shows. Join us for performances of ALLOND(R)A and Some Pictures of the Floating World, June 6-9th @ the Playwrights Downtown Black Box Theater. 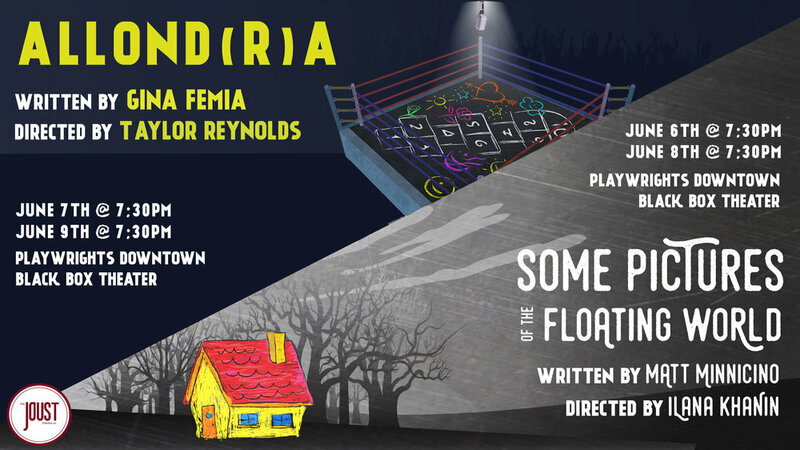 We interviewed Gina Femia & Matt Minnicino on their plays, their writing processes, and their experiences working in the Joust's Writer's Round Table. Tickets for ALLOND(R)A & Some Pictures of the Floating World go on sale soon!